Kristal Shipp is a California native with global perspective, who has developed innovative sports and entertainment marketing and media campaigns for nearly 20 years. Her distinctive style and work ethic, has led to successful tenures and collaborations with leading organizations and high-profile individuals around the world including but not limited to: Stevie Wonder, NASCAR, AEG, NBA, the Los Angeles LAKERS/SPARKS, DISNEY/ESPN, SPRINT, BOOST Mobile, FORD Motor Co., THINK FACTORY, VH1 and more. A respected leader of go-to-market teams with an eye for detail, Shipp is an effective partner liaison and change agent, known for developing strategic public relations programs for a diverse range of businesses with a passion for public and community affairs. As Regional Manager of Media Outreach for the National Association of Stock Car Auto Racing (NASCAR), Kristal Shipp was primarily responsible for the development and management of NASCAR’s west coast brand strategy and public relations efforts. Overseeing the quality and consistency of NASCAR coverage throughout the western region, Shipp managed both the public relations and entertainment communications strategy for eight memorable seasons. Her territories included NASCAR’s primary race (Los Angeles, San Francisco, Texas, Las Vegas, Phoenix) and Top 25 (Sacramento, Seattle, Portland, Denver, Utah, San Diego) regional markets. Prior to joining NASCAR, Shipp was employed as Director of Team Communications for the WNBA Champion Los Angeles Sparks. An affiliate of the NBA Los Angeles Lakers, she developed an integrated marketing communications approach, rarely utilized during that time. By implementing this innovative method, Shipp effectively increased media coverage and brand awareness of all team activities. She also acted as primary contact for Sparks executives and official spokesperson for all crisis communication. During the off-season she collaborated with Laker and Sparks’ Community Relations Departments to maximize player and team visibility throughout the community. 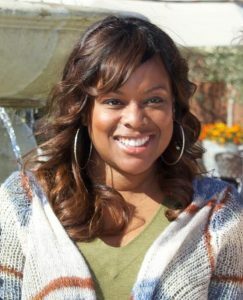 Prior to her tenure with the Sparks, Shipp worked as Associate Media Relations Director in the Athletic Department of Long Beach State University. Earning her first corporate internship at the age of 15, she has worked with a range of retail, high technology and entertainment clientele including but not limited to: A&M Records, Warner Bros. Records, Warner/Chappell Music Publishing, DISNEY, EPSON, SkyTel/Motorola Paging, and AT&T Wireless. Establishing her own business-to-community initiative in 2001, Shipp formed a consulting practice dedicated to equipping small-owned businesses with basic public relations strategy and techniques. A regular contributor to the Sports Management and Journalism classes of the prestigious Annenberg School for Communications and Journalism (USC), she is a frequently sought after panelist and university lecturer for students and career professionals across the country. Shipp serves as a mentor and avid fundraiser for several charitable organizations. A life-long member of the Lutheran Church, she began her journey in youth ministry at the age of 14, serving in numerous congregation, conference, synod and national leadership capacities. Completing her final term as a two-time synod council member in 2014, she’s had the privilege to travel the world as part of the Southwest California Synod including the Bishop’s delegation to the Evangelical Lutheran Church in Hong Kong. Shipp was recently tapped to lead the Community Engagement team for Lutheran Social Services of Southern California after six years as a board member and Chair of the Lutheran Social Services Foundation of Southern California, a series of community care centers dedicated to the advancement of the disenfranchised, elderly, abused and developmentally challenged throughout Southern California. Shipp received her Bachelor’s Degree in Mass Media Arts from Hampton University (Hampton, VA) with an emphasis in Public Relations & Advertising and Masters of Communication Management from the Annenberg School for Communication and Journalism at the University of Southern California. She has expanded her professional development with certificates in Event Planning and Social/Digital Media Strategy. Minister Jesse R. Barfield III , is a native of Los Angeles, California, who grew up in the Inglewood community. 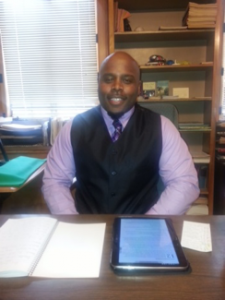 He attended local area public schools and is a graduate of University High School. Jesse is a long standing member of Holy Trinity Lutheran Church and under the mentorship of Pastor James Lobdell, he received his guidance and call to the ministry. Recognizing and nurturing the anointing and calling upon his life, he has served as a Deacon on the ministerial staff of Holy Trinity Lutheran Church for four years and as a practicing Minister for one. He has been asked to preach and participate at many of the Lutheran sister churches, as well as others, and participated in nationwide conferences and events for the ELCA. Jesse’s love of children, has led him to serve the youth ministry in many capacities. His aspiration to reach the growing generation, led to him accept the call to preach the word of God seven years ago. His charismatic style of preaching and humorous personality filters over into his sermons as he often uses practical anecdotes to capture the attention of the congregation; “so it is in the natural, so it is in the spirit.” In his continued path to fulfill the will of God, earlier this year, demonstrating unwavering faith, Jesse made the decision to devote his life and service to the ministry. He was moved to apply for ordination in the ELCA, where he will grow in his abilities to carry out all of the duties and responsibilities of God’s called Shepherd. In his private time, Jesse has worked for FedEx for over 15 years in a number of different positions and continues to reach above and beyond in his quest to walk in his purpose. His ultimate desire is to see people fully embrace God’s love and to walk in victory and power while experiencing the fullness of God’s promises. 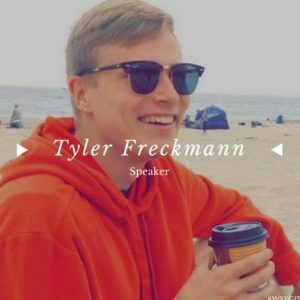 Tyler Freckmann loves stories. Written stories. Filmed stories. Stories about how someone gets from point A to point B, but also manages to touch Q, L, and S along the way. Stories about people who overcome the highest of obstacles, but also stories about people who just undergo. Stories about how heroes became heroes, but also stories about who decided the villain was the villain. And stories about every day life, because life happens every day. Tyler loves stories because they show the realities that often get trapped in our dreams. Kaila Armbruster was born and raised in Phoenix Arizona and went to college at California Lutheran University (it’s good to be back on campus) and received a Bachelor of Arts in Theatre Arts. She then, having felt the call to ministry since she was 16, went to Seminary and received a Master of Divinity with an emphasis in Environmental Ministries at the Lutheran School of Theology at Chicago. She has been ordained for three years and feels called to walk with people in their highest of highs and lowest of lows and show them God’s love long the way. She loves to laugh and be true to herself, others and God because that’s how God made her to be. She has been marred now for almost a year and her and her husband Carl love being in creation surrounded by God’s beauty and grace, especially with all their crazy animals, which include 3 dogs and 2 cats. She also is a Holy Yoga instructor and a HUGE Harry Potter fan and loves being barefoot. It was in 2003 when Jonathan received his calling to ordained ministry. 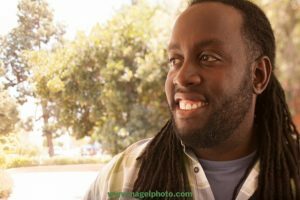 His educational pursuits led him to study at The Southern California School of Ministry to further pursue a degree from The King’s College and Seminary in Theology with an emphasis in Biblical Counseling. Over the last seven years, God has done amazing things through Pastor Jonathan’s ministry, in and beyond the church walls. Lives have been saved, relationships have been restored, the Truth has been preached, and God’s presence has been felt. In the words of Jonathan, “I was born to help shape peoples lives toward Christ. My purpose and destiny is tied to those who need to know that God has more for for each individual. Like John the Baptist, ‘I am the voice crying out for such a time as this.’” Jonathan’s ministry extends the scope of ministry to real people, with real needs, met by real Jesus, with real answers. He is frequently sought after for his leadership development and training. God is grooming him to be a brilliant pastoral figure for this generation. Jonathan offers youth and young adults principles that can be applied through Biblical instruction with practical application. He has served in various roles throughout his tenure in Christian ministry. Pr. Rev. 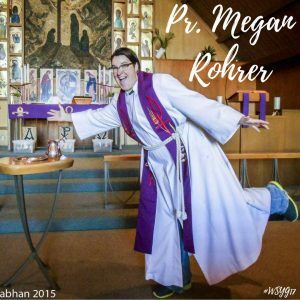 Dr. Megan Rohrer currently serves at Grace Evangelical Lutheran Church in San Francisco, CA and is a strong advocate for the LGBTQIA and homeless community. Pr. 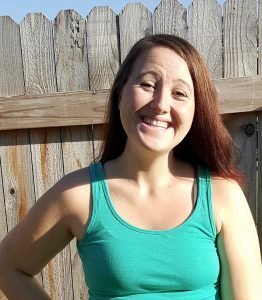 Megan is an author, artist, activist, and educator.